I talk about long form content so often that you’re probably sick of it by now. And, of course, because it’s a type of content that does something special – it works. But lately I’ve been seeing some really exciting examples of alternate content that really blows me away and seems to be performing extremely well on social media and search engines. Today I’d like to share a few of those examples with you in the hope that it might inspire you to try something different – especially if you’re caught in a bit of a rut. Here are some specific examples that will hopefully give us ideas that we can apply to our own niches. If you’ve seen anything like the stuff below I’d be really curious to hear about it. Please drop me a comment at the end of the article. Notables: Each map is individually shareable on Facebook and Twitter creating multiple opportunities for promotion. Gun violence is clearly a problem in the USA. Vox is a website that aims to “explain the news” and they’re creating cool things like this article that aims to explain the problem. They’ve created and compiled a series of maps and charts to try and statistically prove a point. The result? A huge amount of shares. Explaining your content in a different way can be extremely effective in helping people understand it better, but it can also lead to more viral uptake because it is new and novel. Try and think of more graphical ways that you can present any points that you make for your next few posts. Shares: 5,700 on Vox + 7,000 votes on YouTube. Notables: A very unique topic explained in a very clever and enjoyable way. Makes you want to dive into similar content items on their site. I’m linking to Vox again here because their use of creative videos to explain issues has really charmed me. This one about Bernie Sanders is extremely clever because it looks at a very prominent and newsworthy person, but covers a topic that you might not have even thought about but are instantly interested in. This type of “explainer video” has been used more and more lately and has brilliant results. Another person who does it extremely well (and even landed main stream TV time) is Veratasium and his amazing science lessons. Views: Approx 1 million + syndicated to National news websites. Notables: Absolutely exhaustive list of data, content, photography and imagery given away on a free website. Australia is currently having a big debate about “lock out laws” that prevent people from buying alcohol after a certain time at night. This article was published to LinkedIn last week and was subsequently viewed nearly a million times and shared and republished all over the net. We’ve already talked about long form content, but it seems like people are now more willing to publish extraordinary articles like this to free platforms like Medium and LinkedIn. This piece takes hours to read and is packed full of studies, photos, videos, charts and makes an argument difficult to disagree with. I still feel like it’s a big risk putting this content on a website that you don’t own (in case it disappears like MySpace), but these results are difficult to argue with and may be enough to change my mind. I’m going to do some tests in the next few weeks. Notables: These things would take next to no time to create and still capture peoples’ attention. Quizzes are getting really popular at the moment (we did one about starting a blog in 2016) and I think it was BuzzFeed that really kind of pioneered these “pop culture” versions. This quiz has had half a million views and is only eight questions long. It clearly would appeal to a very particular audience and would probably be something that they would share with their friends and families for a bit of fun. This type of content might not exactly make people go deeper into the site, but it’s very good for back links. Shares: 261,000 shares, 1.5 million stumbles. Notables: Simple website tool that since spawned a smartphone App, now the standard for speed testing. This website is a very good example of a simple tool that can have enormous results. I used Share Tally to determine how many shares it’s had and it is quite staggering for a website that just checks your upload speed, download speed, and ping. Interestingly, these types of tools are not that expensive to build. We’ve talked about it a few times before but you can pretty easily get them developed for something relating to your niche. Google absolutely loves them as well; the more interactive you can make your content the more useful readers will perceive it to be. Reviews: 105 5-star ratings + regularly featured on iTunes. Notables: A very simple format of commentary being used by many podcasters and YouTubers. 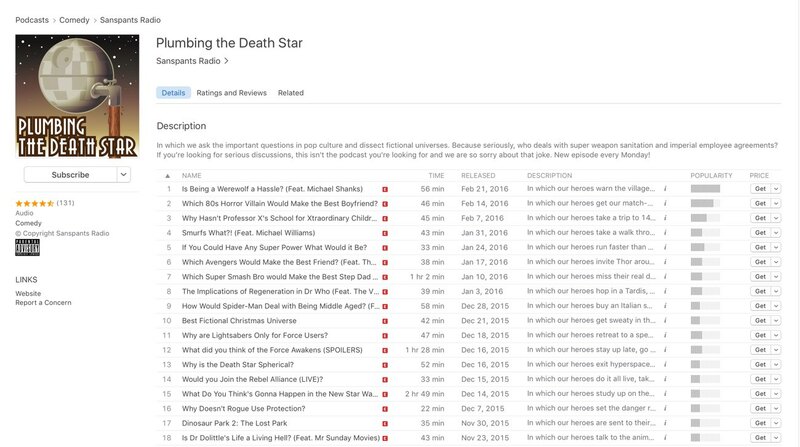 Plumbing the Death Star is an awesome podcast about, yep, Star Wars. It has also started to touch on other comic book type topics but for the most it talks about things like whether or not lightsabers can be used by non-Jedi beings. Brilliant. This is a super clever idea for a podcast given all the Star Wars buzz that is going around now, and will being continuing for the next few movies. I’ve noticed many other podcasters doing similar things. For example, there’s one called Filthy Casuals which discusses new video games and picks up on a lot of their hype. I recommend taking a look at these examples and then spending a few hours looking around your own niche to see what other bloggers and website owners are doing. One thing you can do is take content you already have on your blog and see if you can re-format it to something new and different and perhaps a little bit more “automated”. Look around websites like 99Designs and Freelancer to see if you can engage a programmer or coder who might be able to help you with a new project like this. It’s amazing what you can achieve if you find someone who knows what they’re doing. Finally, think about what frustrates you with your niche and your topic. Then think about how you’d solve it with a plugin, calculator or some graphical description. It’s easier than you think! 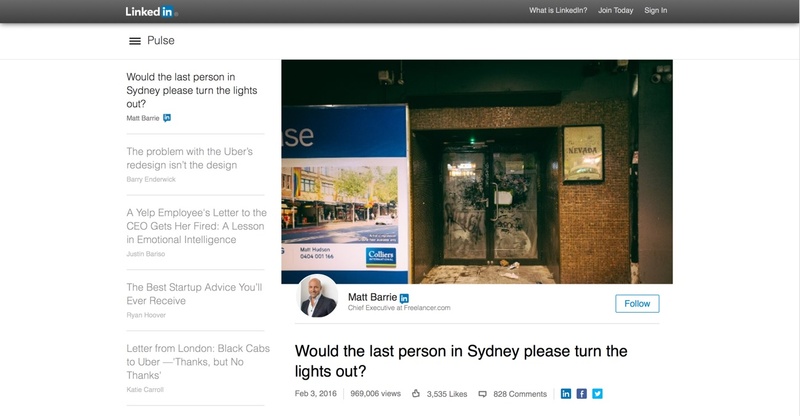 Have you seen any examples of content that is new and exciting? I’d really like to see it. Please leave a comment below and let me know. And also let me know if you’ve tried something different and seen results. Your link to 6th point seems to be wrong. If we consider the fundamentals, then there’s a lot that still can be added to content formats. There have already been several changes in the content types in the last few years, such as podcasts, infographics, etc. unlike the plain text posts that were being used earlier. Yet, there are strong chances that content will become much more interactive and reader specific. For example, there are several quizzes and polls that reveal certain results about the users and gives them some specific results. That’s cool! (just like the quiz you used last time which was interactive) This kind of content will only prosper because it focuses on the reader. Currently readers use “labels” to navigate to the kind of content they wish to read. But maybe in future they’ll given some form to fill in their needs and get custom results that meet their need and reduce the unnecessary hassle. In fact, the way all readers are going through information overload and becoming educated, fooling them won’t in the future anymore. They can now distinguish between ads and posts, know when marketers try to dumb them using “Hurry! limited offer” kind of things, or when the content doesn’t favor them. The considerable thing is they can now control everything. So very clear chances are that, only the content that’s focused on the readers shall survive, since, well, I can’t say exactly but maybe it’s not the content but the reader who is the king. And as long as we serve the readers well, we get to grow. Even the manipulative marketing techniques won’t work anymore after a few years, as eventually everything will only be under the control of the readers and customers. Seems like everything is going to pass from a breakthrough in order to be revolutionized. Something like “transparent/honest marketing” is going to emerge very soon. The people and marketers who shall try to act smart or be selfish will be kicked out by the readers themselves, and they readers will decide everything. Boiling it all down, the content that is completely dedicated to the readers will dominate! 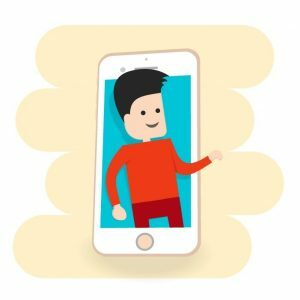 The one which is interactive – “Write like you talk” advice reflects this philosophy in words, polls and quizzes do it with technology, but the base of all this stuff is interaction. The one that is customized – Like the options for pricing plans that several products offer. Customers have to just specify their needs and status, and they’re suggested with favorable options. A good example is the “sorting” function on online shopping websites that provides relevant results. The one that is specific – Readers skim because they don’t wish to waste time and know only what they want to, quickly. This is a clear signal of how users/customers/readers should be given the opportunity to decide the kind of content they prefer using some kind of automation. For now, the way some newsletters send only the mails about the topics which the subscriber has opted for is another nice example. Above all, branding, marketing, selling, and all other terms will soon revolve around just one term maybe – Honesty. That’s all! So the content which is the readers feel is a cut-out for themselves, is honest, and love reading will overthrow everything else. This is an essay! Love it! No doubt the hottest trending web ploys capture attention, but it is still up to those who produce original content with value to engage their audience with actionable outcomes. I love the concept of debating whether or not non-Jedi beings are equipped to wield a lightsabre! Ha ha. I only recently found out about natural and synthetic crystals used in the light sabers. Thanks for all those great ideas! it’s more possible to send all those lazy readers to a blog. Someone who is really interested in a topic will probably read a long post. Most of the people won’t do it, but they will be easily attracted by a colorful infographic (or a simple smart graphic) or a short animated video, even if it’s not what they’re really interested in. Videos and gifs the basic content shared on Social Media nowadays. This is what I intent to do with some of my posts. For me it’s also an easy way to share my content with the english speaking audience. (My blog is in greek, so my audience is very limited). I’ve already used videos and infographics to promote my studio with good results. Please let me know how you go with this. Always interested. I’ll let you know, Ramsay! This made my jawdrop! It’s crazy! Especially # 14! Are you sure you commented on the right post? There’s only 6 examples here. I was doing a satirical click bait response. I knew there were only 6. I still struggle with this type of stuff in my niche. What did you use to create your quiz? I love the images you used as well. I custom built it with a friend and the images were designed by a guy I hired on 99designs. If you’d like to use the quiz I can probably make it happen for you. As always, great content. I totally agree. Creating a unique, long post with data and figures in it is more viral. If a content has something controversial, it is also likely to receive more views and comments. Thanks, Ramsay, wonderful ideas for inspiration. P.S. just signed up for VOX !!!! Yeah it’s a really cool website! The stuff you pointed to from Vox is great. 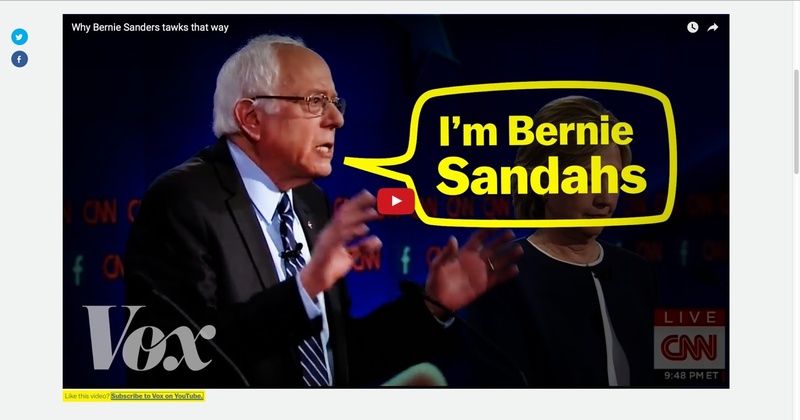 Using the Bernie Sanders example, I imagine being able to do a simple (and inexpensive) smartphone-based video that shows seven or eight different people pronouncing a word that has significance in our locality — and it would have to be funny! Then tie that to a service or cause on a website where the viewer could take some action. Sweet! Hope you’re well mate. Very interesting! Some of these examples are so out there! I do think that switching things up can be a great thing, and as you mentioned, repurposing existing content is just a smart thing to do. Thanks for the FB mention yesterday. Really enjoyed this one man! I’m interested in the buzzfeed quizes for sure – although, making them work outside of pop-culture seems challenging. 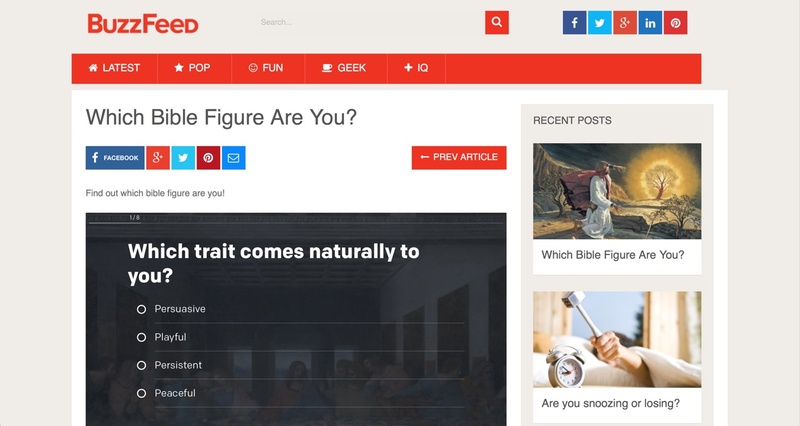 Playing around with the WordPress Viral Quiz plugin now. Hey Chris, if there was a quiz plugin with a one-click install, that is totally customizable (structure, colour, fonts, pics etc.) would you be interested? Haven’t run into any frustration in this regard with WPVQ yet, but I’m open to checking it out for sure. Hey man, this is an awesome list of content ideas! It puzzled me forever how many people say that content is the king, yet hardly anyone delves deeper into all the colourful varieties of it. I’ve noticed an upward trend towards multimedia, so your advice on hiring design and coding is spot on- people love rich content for it is easier and faster to consume, and it looks nice (tablets and phones are all headed towards retina displays, and it’s a real shame to waste such a screen quality for text only). The great thing is that this content is so captivating that we can literally copy paste the formula- the structure of it- and still gather an audience. (like for example NerdWriter does on YouTube- he makes his videos similarly to those of Veratasium). If you decide to create something for Medium or LinkedIn and need help with anything, feel free to send an e-mail. I’d be happy to participate and contribute any way that I can. As for Medium, here is a project of a friend of mine and his wife, who while staying in Tokyo decided to document their journey. Judging by the shares and mentions, millions of people saw the project (it was even featured on the homepage of Medium). I’ve just realized now that this comment probably went far lengthier than I’ve planned. I guess that’s why I read your articles only when I have enough time to reply- cause I know they’d spark a lot of ideas and conversation. How come you didn’t include lists in your list? They seem to be extremely successful. At least according to what I read elsewhere. They also are much easier to create. Or is that trend already on the wane? Just discovered your blog – what an original post – thanks for sharing this. I have seen that quizzes do well, which I think has something to do with appealing to people’s sense of narcissism. Also I guess there’s instagram which I’m still not sure what that does but I’m learning a little – just sharing images, quotes, visual stuff – and it’s mobile-only of course. Quizzes are GETTING popular? I don’t think quizzes have ever been not-popular… they’ve been around since MySpace and probably long before that (my memory gets kind of fuzzy if I go too far back). People just love taking silly quizzes and sharing the results with their friends. It’s like it’s a part of human nature or something. Great content – Thanks. Just starting out so a bit overwhelming, as I’m not a designer or an IT Guru – just me myself and I are working on it but I appreciate all you’re a content and the awesome responses posted. Thanks! 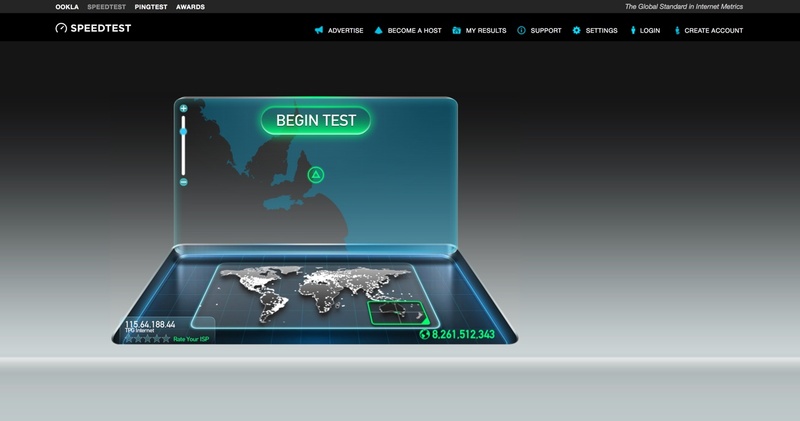 Love Speedtest.net … it’s my go-to when I’m hunting for an apartment in a new town! Really good 6 examples. I was trying to create something like number 4 for my new website and it actually worked out at least with the good backlinks as you mentioned and now I’m trying something else like number 3 but as you metioned too I feel is risky because my website is new and i don’t really know the impact that may have. I’m an interior designer and now I’m promoting the idea on making the difference from just a regular room or bathroom into a place where you can relax and meditate, something like having your own spa in your bathroom. I’m kind of new doing stuff like this so this article gave me much more idea of how to improve my work with the website. Very well done post sir. I enjoyed all the points you made. Some I might even be able to get to work lol. Anyway after reading this I had a thought and would be interested in knowing your opinion about it: what about a plug in that offers a cool quiz in exchange for that person’s email? That could be a way to increase your list. We will see what the future holds for content marketing. This is really an exciting time to become part of the content race and see what comes out top. My feeling is that search engines will begin to favour content which has been shared and has lots of comments by the readers. If this is the case then we need to test what kind of content will give that kind of reaction. My own tests suggest that content around 500 – 700 words is more favourable for a reader, any longer and it just doesn’t get read, same with videos, between 3 – 5 mins. It seems the user has a shorter concentration span, if this is so then we need to adjust our content to match this change. More favorable how? In terms of readability or shares? Great article man! 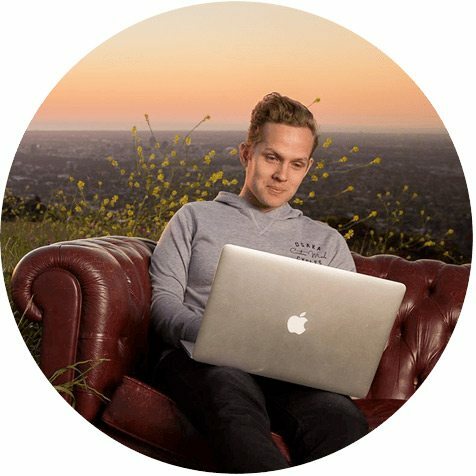 It’s really a genius idea to create something that magnetizes viewers and effortlessly generates traffic. It’s interesting that quizzes seem to be making such a huge comeback… they were huge back in the MySpace days, then they sort of disappeared for a while (though they were still around) and now they’re back in full force. I suppose trends ebb and flow a lot more rapidly on the internet.